Hello P3 Nation! Today’s “post” is actually going to be a video link. Sometimes there are certain subjects, concepts, or post ideas that just don’t translate well to the written word, and especially to screenshots. So this post will be in moving picture form! We’ve posted it to our YouTube Channel which you can go to here. Bedside’s today’s video, we have TONS of content on that channel so please take a look at our other awesome videos as well. Today’s topic covers how to create a real-time dataset in the Power BI Service. You’ll learn how to use Microsoft Forms, Microsoft Flow, and Streaming Datasets to create a way to collect data THEN have that data written to a Power BI Dataset in REAL-TIME! The best part is that you WON’T have to write (almost) any code to do this, just a series of inputs and mouse-clicks!. I’ve included below the one bit of code you’ll need during the Microsoft Flow steps. Otherwise, enjoy the video! Great example and the video demo was excellent! Can think of several use-cases I could apply this to almost immediately. Thanks! Very well done!! I wish I can create this without any code. Right? They’re so close. It’s still in preview so my hope is that when it’s completed they’ll not require you to put any custom code in. Fingers crossed! Reid, awesome video! I spent time yesterday following along, creating and learning. I was able to create a working model and I’m pretty sure we’ll be using this technology in the future here at our company. Thank you for sharing this great video and how to create a survey, and link it to Power BI for a Real Time data set. Keep sharing these great video’s and help the Power BI community grow in skill. Fantastic to hear Greg, glad you were able to implement it immediately. Hello, I have an issue when doing the MS FLOW steps : when creating the action step , I can select the Form but then when clicking in the field for the ResponseId, I get a empty screen….And stuck there…no option to go back without losing all setup in the flow. Any idea ? Hi Kurt, is that MS Form attached to an excel file sitting in your onedrive, or was that Form created directly in the forms menu? Only forms created there can work with Flow -> PBI Live Dataset. The form was created directly in the forms menu. I do not think that the issue is linked to powerbi connection because the blank screen I get when trying to enter the Response ID. Strange…just tried this again today and now it works …I followed the same steps, did not change anything to the Form. Hi Reid, that was awesome! Thank you! Just wanted to point something out regarding your code since it took me some time to figure it out. This part of the code [‘value’])? [‘resourceData’][‘responseId’] is written with commas instead of ‘ and copy/paste gives invalid expression. Thanks again! Thanks for pointing that out Lora! This is was a real interesting demo. I worked through it with a SharePoint list instead of an MS Form–I found it to be a bit easier. One of the biggest drawbacks is there doesn’t appear to be a way to update or delete items in the streaming dataset. Great Post! I Love it! Do you think it is possible to link a sharepoint list to Power BI, as you do with Microsoft Forms? Can you provide the code you put into the Response Id field? This video is awesome, though I seemed to be stumbling with getting data from the Power BI Service – that option does not appear for me under the “Get Data” option. Any guidance would be greatly appreciate. Thanks! Great video, but I seem to be having a issue. Followed all your steps and when I go into Power BI desktop click on the data it is not showing the data. I have 11 different fields with text fields, date and then questions with multiple choice answers. Not sure if anyone else has experienced this same issue, but anything would help. What would be the best way to calculate a score ? Great example of how to combine PowerBI with Forms and Flow to get near real time updates in a Dashboard. The only disappointment is right at the end when we find out that streaming datasets in PowerBI can’t be combined with any other datasets. 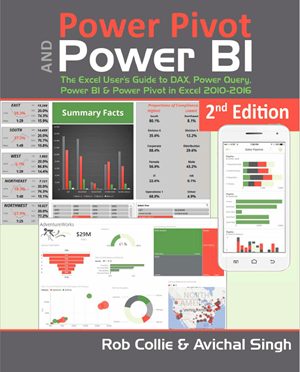 What I was really hoping to do was create something like a query-by-example support tool, where a user would populate some fields with known info and then PowerBI would use that input to build filters on a dataset that is coming from a SQL Server view. This doesn’t seem possible with the limitations of PowerBI Online services. Any ideas?